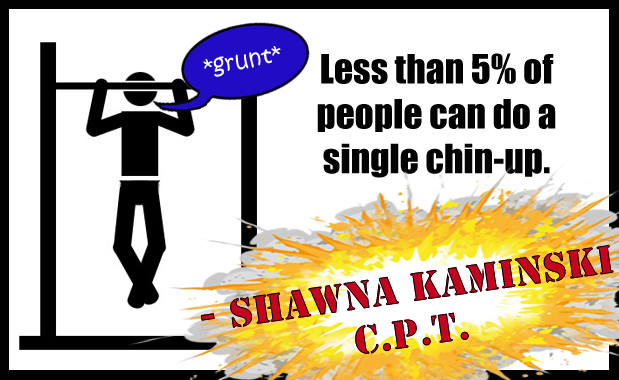 Chin-up Challenge Workout 13: Mysteries Revealed! I did not succeed. Shocker, right? Though I was fresh off that defeat, I got down to business and began my workout in what feels more and more, with each passing day, like a futile attempt to succeed. However! There was some more undeniable (undeniable in that ‘Harper-needs-to-go’ sort of way) improvement with my assisted pull-ups, meaning I don’t have any doubt: I crushed my first set of assisted pull-ups today… and Harper really needs to be put out of office. I actually accomplished a 4 count decent. That’s right. Cue the applause. Release the confetti! Fire the works!! (…Light the fire? Boom the firework? … Blast! Blast the fireworks!) You gotta celebrate the small things right?